Dental implant complications are the things that CAN happen during dental implant treatment that we DON'T WANT TO HAPPEN! One of the most common dental implant complication is some degree of nerve damage in the area of the dental implant. On the one hand, this could be as simple as a slight tingling on the side of your tongue after implant surgery. It feels like mild "pins and needles" in the side of your tongue or perhaps on the edge of your lip. This sort of thing will usually get better on its own within a few months. At the other extreme, it could be a complete numbness of your lower lip and part of your chin, on the side where the implant was done. You don't have any sensation at all; you can't feel hot or cold, touch, nor even a pinprick. Again, this usually slowly gets better without any treatment over 6 to 12 months. But sometimes (rarely) the numbness is permanent. Read more about numb tongue complications HERE. The next possibility is that the dental implant does not end up exactly where the dentist intended it to be. If an implant is being put into the upper jaw to replace a back tooth, it is possible for the implant to slip into the "sinus"; This is an air cavity under each cheek bone. I have seen this happen on one occasion; the implant worked its way out a few days later when the patient blew his nose! He came in to the office and handed the boss an envelope. The boss thought it was a letter from a lawyer! But when he opened it he found the wayward implant. True story. The surgical site in his mouth healed up normally, and the implant was re-done a few months later. In some cases, everything goes according to plan, but the area around the implant is very slow to heal. It stays red and inflamed for longer than normal.The only solution here is time, and keeping the area as clean as possible. The best way to keep the area clear of food debris and prevent a build-up of bacteria is by using an efficient sonic toothbrush that has a very gentle high-frequency vibration. 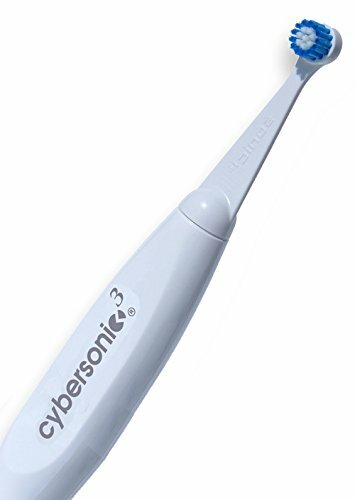 I'd recommend the Cybersonic 3 toothbrush. Slow healing is more likely to happen if you have certain medical conditions like diabetes, or if you smoke. There is also slower healing if you have ever had a type of medication called bisphosphonates, for osteoporosis. Your dentist should have checked all this beforehand, and warned you of the possible complications. A final factor is how well you look after yourself and your new implant. You should avoid the implant area as much as possible, and not poke it with your finger or keep putting your tongue there. If you have a removable denture, it's best to leave it out for a few days after surgery. A removable denture can irritate the gum tissue by moving slightly, rubbing on the gum over the implant; it can also attract dental plaque bacteria, which may cause inflammation in the gum tissues. Most complications can be avoided with thorough planning by your dentist and the skill of an experienced implant surgeon. 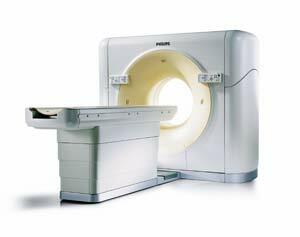 A CT scan ("Computerised Tomograph") should be done as part of the initial implant planning, BEFORE any treatment. However, dental implant complications DO occur from time to time, in spite of meticulous planning. Your dentist should warn you about these possible complications before you have the implant surgery, and get you to sign a form stating that you give informed consent for the treatment. REMEMBER, I highly recommend the Cybersonic 3 sonic toothbrush. I think it has the best performance of any brush I've tested, and you can get it at a great price (50% off!) if you use the discount code on Best Sonic Toothbrush.